It's pumpkin season! Fall has always been my favorite time of year. I like it when things turn brown and red, there's the smell of woodsmoke in the air and the dark falls early. Some of my favorite foods start showing up at the the Farmers Markets, Brussels sprouts, pomegranates and of course, pumpkins. Now pumpkins aren't all that hard to get most of the year, the canned ones at least. But are what we're really getting in those cans pumpkins or not? Actually, not since most canned pumpkin is actually canned squash. 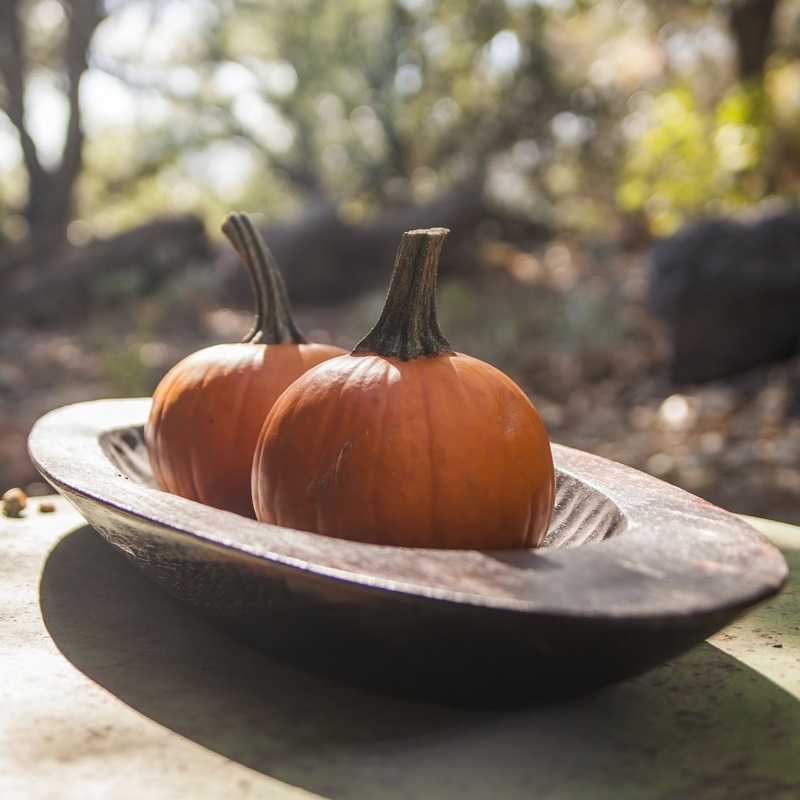 After all, a gourd by any other name... still tastes great and often times a whole lot better than most of the pumpkins one can find out there. As this article from the New York Times points out. Consider the Sugar Pie Pumpkin. I feel like Rod Serling. Don't let the name fool you. These little suckers are neither sugary or great for pies. As you can see. They're tough, stringy and not all that meaty. They are however, great for Jack-O-Lanterns. 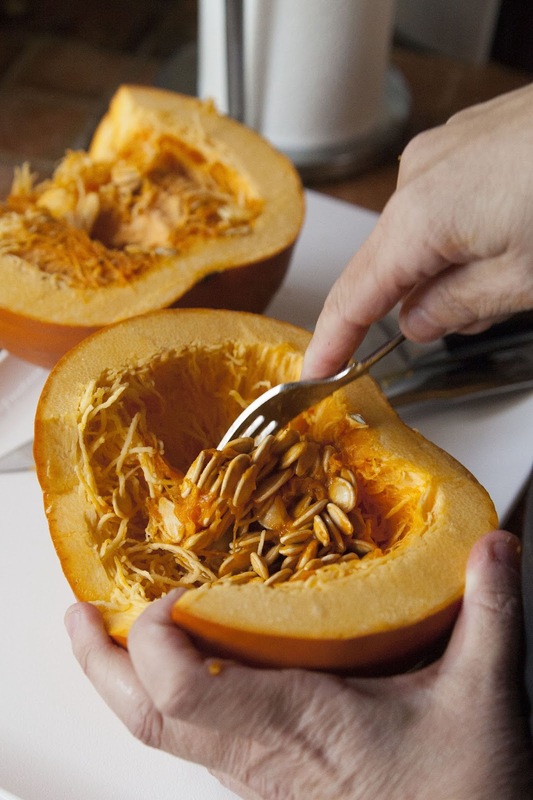 Just use another type of squash for any cooking and eating purposes, you'll be happier. What I usually use for my pumpkin cooking needs is a good Butternut Squash. 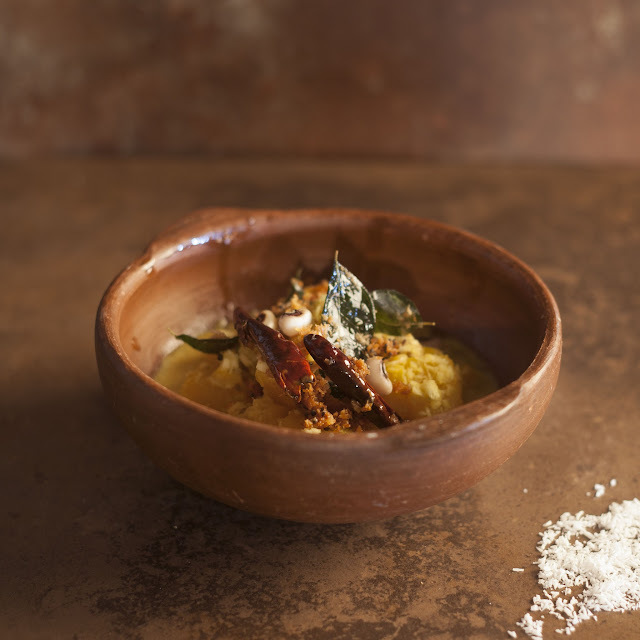 This is an easy curry from Kerala that cooks up fast and is warming for those cooler Fall nights ahead. I fixed this curry for a casual Indian dinner party a couple of weeks ago. A vegetanble side dish and some rice were added and we had a complete feast. 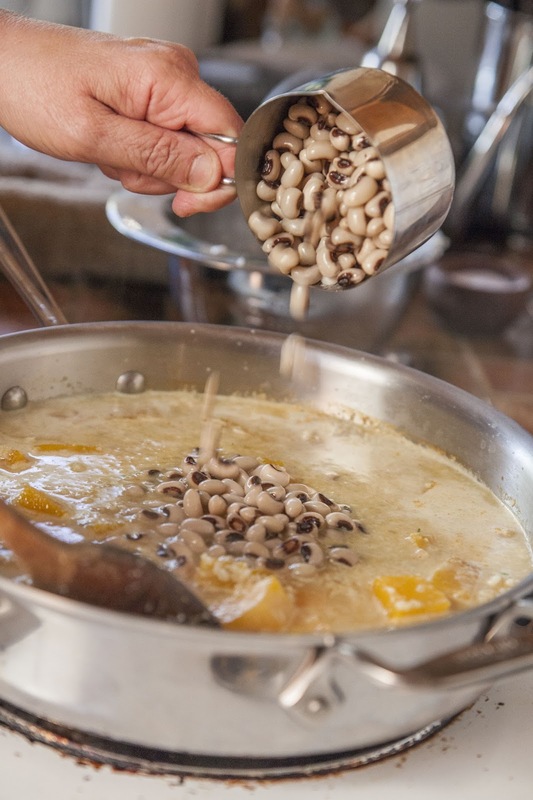 If using frozen black eyed peas, defrost them. If using canned, drain them and rinse them well. 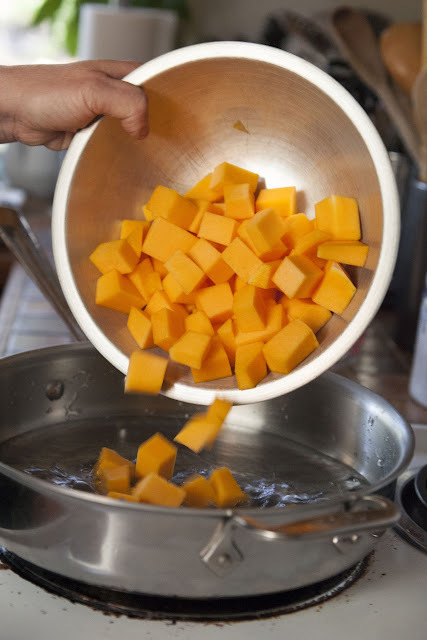 Peel and chop the butternut squash into cubes. Set them aside. Pour 2 cups of water into a pan or kadhai. 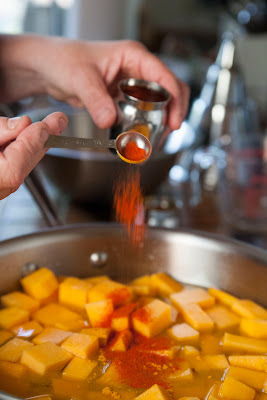 Add in the butternut squash cubes. Add the turmeric powder, Kashmiri chili and salt. 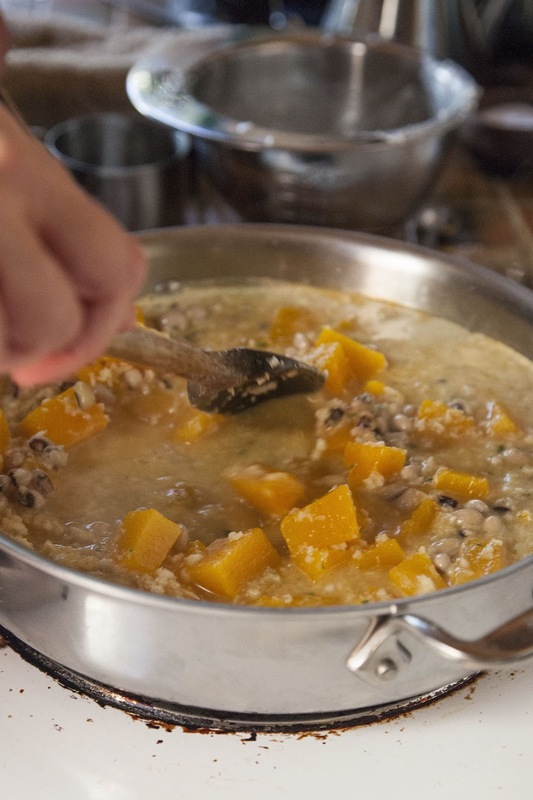 Put a lid on the pan and let the squash cook on a low heat for about 15 or 20 minutes. It should be tender. Keep an eye on the water in the pan while cooking. You don't want it to dry up. If it starts to, add a bit more water. 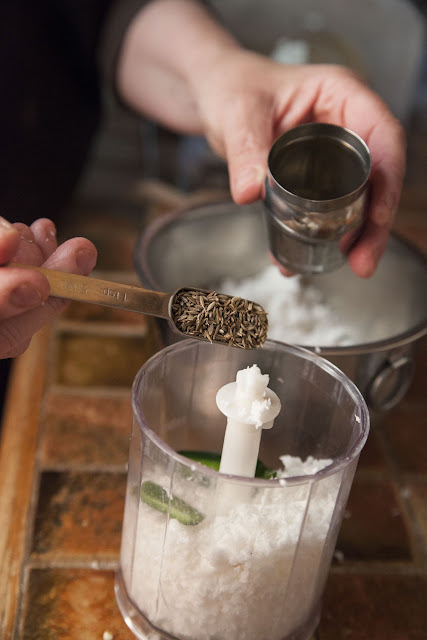 While the squash is cooking, put 1 and 1/2 cup of the grated coconut, the cumin seeds and the Serrano chili into a grinder. 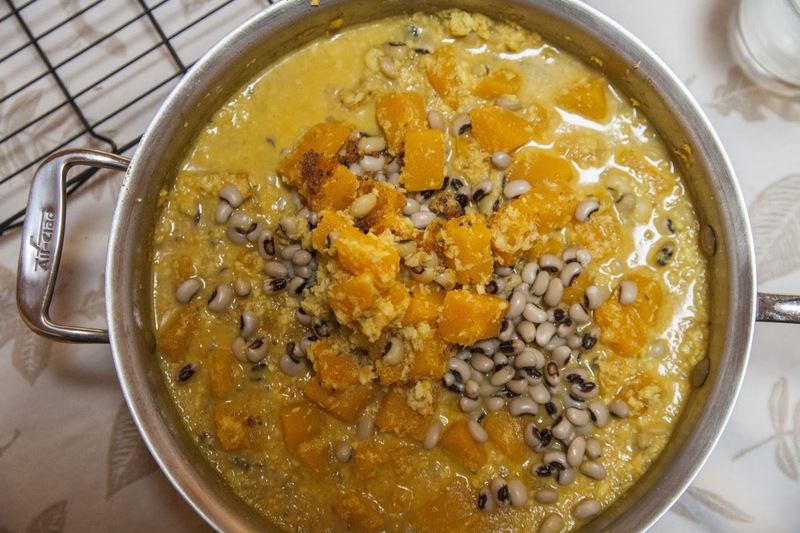 When the squash is cooked through, add in the coconut paste. Add in the black eyed peas. If it looks too thick you can add a bit more water to thin things out. 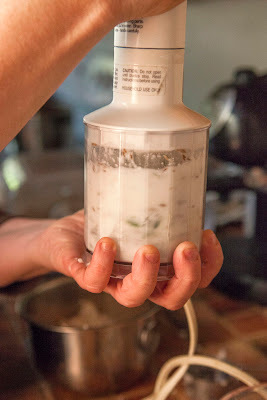 Stir things around and make sure everything is mixed together well. Put it back on the heat and simmer it all for about 10 minutes or so. The idea here is to get the flavors to marry well. If at any time the stew becomes too thick, always add just a bit of water. When it's all cooked through, put a lid back on the pan and set it aside. It's time for the chaunk! In a small pan or skillet, heat 4 Tbs of coconut oil. 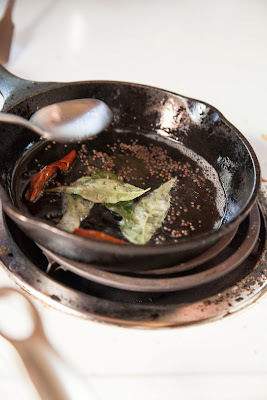 When they start to pop and crackle, toss in the curry leaves, and dried red chilies. Cook until the curry leaves start to crisp up and the red chilies darken. Toss in the 4 Tbs of grated coconut and cook it until it starts to turn light brown. There should be an even golden browning. 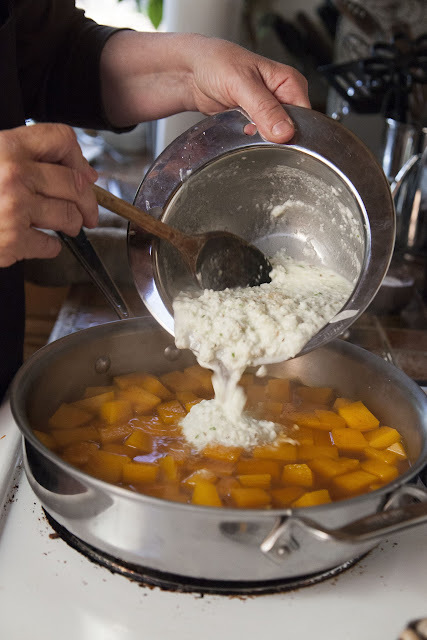 Pour the whole thing into the pumpkin stew. I served this curry hot over Basmati rice with spices, chapatti, green beans with coconut and peanuts and a mango curd. Of course there was dessert. 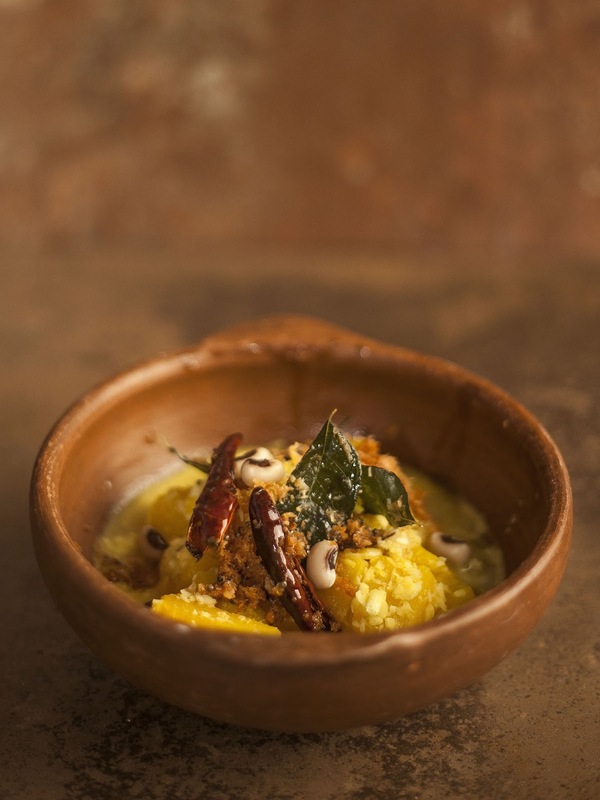 Coming up next, a dessert from Chennai,with dal. I just wanted to add here that I thank each and everyone who's sent me wishes regarding my dad. Right now things are not looking too good, he's in and out of lucidity, and we'll know a lot more in the next 24 to 48 hours as to what the prognosis is. Until then, once again thanks to all for your kindness.